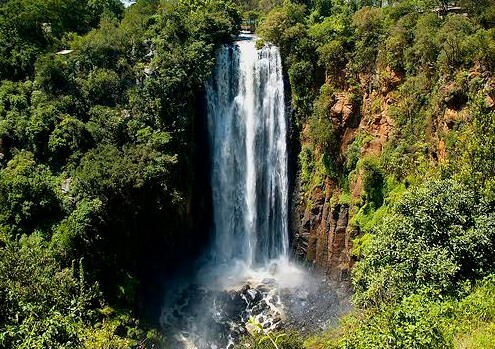 Nanyuki town lies to the northwest of Mount Kenya and a degree north of the equator at 0° 01′ north. Apart from its scenic setting stretching down the slopes of Mount Kenya to embrace vast plains dotted with various wildlife, Nanyuki also forms a very important base for the British Army who conduct their jungle training drills here. The town is also quite popular with the Indian community, thus creating an all cosmopolitan population despite its size. Nanyuki is a variant of the Maasai word Nanyoki which translates to ‘place of red soil’ These soils are well watered by streams that collect uphill from the nearby Mount Kenya, in their purest form. Dropping in a surreal 74 meter dense of mist, Thompson’s Falls could be the closest any falls ever came to the equator. The falls are named after Thomson Falls by honor of his son Joseph Thomson who discovered this epic feature in 1883. For a great view of the falls, there’s a steep and rocky path that leads down to the pool through a thicket full of different species of birds and the rare white striped Columbus monkey. 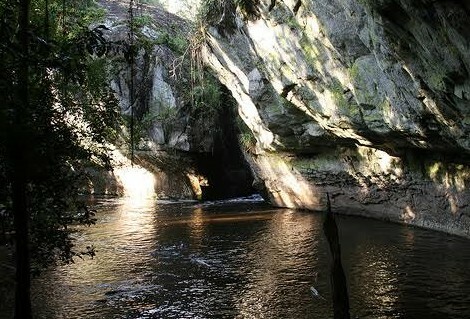 If not fit for the downhill climb, you can watch the falls from any of the marked out areas atop the ravine. All around the waterfalls are curio shops full of artifacts and niceties for souvenirs and memorabilia. Apart from bounteous wildlife well recognized as the highest wildlife to acre ratio in Kenya, OL Pejeta is a celebrated conservation ranch which also hosts Kenya’s only chimpanzee sanctuary and East Africa’s largest black rhino sanctuary. 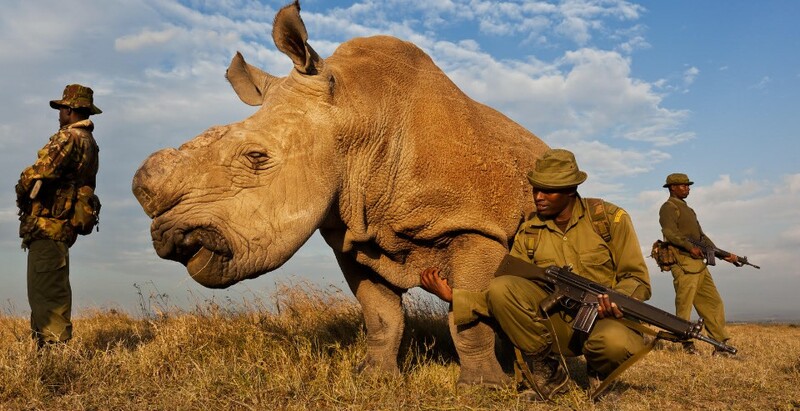 The conservancy has lately caught the world’s attention for playing home to the last male of the near-extinct northern white rhino which is heavily guarded against poachers in hope of saving the species. The 110,000 acre ranch is also home to the rare Grevy’s Zebra and the Jackson’s hartebeest as well as families of the equally endangered black rhino. With all the planet-rescue mission on its shoulders, Ol Pejeta deserves all the support the world can offer! Nanyuki marks the starting point for trekkers and climbers who opt for the Sirimon route to Africa’s second highest mountain. Mostly, different groups or individuals using different kinds of transport convene here for acclimatization in readiness for a 5 hour hike to Old Moses Camp. But if not so enthusiastic of the steep and rocky ascent, you can explore the Mau Mau caves that served as a hideout and solace for native fighters during Kenya’s fight for independence. Assuming that you are in Nairobi, take an express matatu (public transport) from Accra road. This should get you in Nanyuki within 2 hours of a smooth and scenic drive. Opting for a flight? Air Kenya and Safarilink have scheduled flights to Nanyuki airstrip. Both carriers fly from the Wilson airport in Nairobi. Owing to its diverse demographic, Nanyuki has quite an assortment of restaurants catering to all kinds of tastes. Try the good old Marina, Trout tree, Le Rustique Restaurant among others. The town center has shopping malls such as Nakumatt and Nanyuki Mall. There are also open air markets especially for fresh farm produce and numerous curio shops within the town and along the streets leading into and out of town.